It’s the sort of bleak cultural folly you almost have to be a woman to appreciate: According to a new report, men in Britain are more likely to be overweight and therefore more likely to get diabetes than women, but for a number of reasons, they are less likely to be aware they are overweight, which leads to all sorts of medical trouble. The study, from the Men’s Health Forum in Britain, a health charity for men, has found that about 1 in 10 men now develop diabetes, The Telegraph reported. British men are 26 percent more likely to have diabetes than women, and 65 percent of men in England are obese compared with 58 percent of women. The Men’s Health Forum is calling this a national emergency, and the consequences are dire. Because men are less likely to get care for diabetes, they are also twice as likely to end up with an amputated foot or other complications. Okay, but before we conclude that men need to be served up endless photos of Vin Diesel to avoid diabetes, let’s get something clear: Bombarding women with images of impossibly Photoshopped, ultra-thin women is not motivating them toward great health; it’s motivating them toward eating disorders and depression. By the time girls are 8 years old, some 80 percent of them have already been on a diet, and more than half of girls at this age say they desire a thinner body. Not a more fit, healthier body, mind you — just a thinner one. That is a direct result of not just their mother’s attitudes about their own bodies they project onto their daughters, but also the glut of video game characters and models and actresses injected into their sight lines since birth. Sure, I guess the fact that women get less diabetes is something, but they’re making up for it by holding the monopoly on anorexia and bulimia. 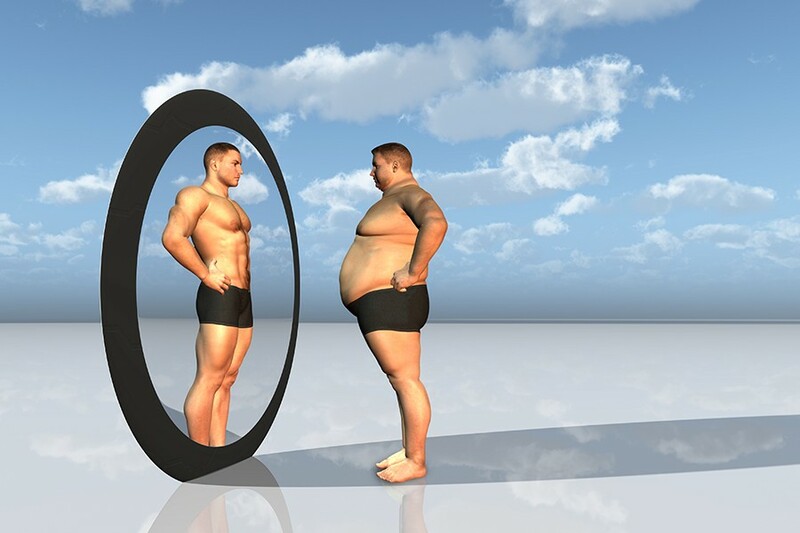 Only about 10 percent of people with eating disorders are men, because as you’d expect, the group dominating at severely restricting their caloric intake is going to be the same group with more pressure to be thin. In a way, this is an argument for the ultimate male privilege. Not only do men seemingly not even have to be aware of their bodies, but they don’t carry around the constant shame the overweight women does — which feels, according to fat positivity writer Lindy West, like constantly being told that your “body itself is a breach of etiquette.” To not have to live with the scrutiny from others that your body is bad and wrong is a luxury most women will never actually experience. Yet, the fact that this luxury is costing men their actual health is the cynical twist: Believing your size as a man is a gift, a status or ultimately just totally benign — even when that size is unhealthy — leads to real medical complications and an earlier death. All that said, I’m still skeptical about the degree to which men aren’t aware they are overweight, and wonder if what’s at work here isn’t stigma rather than obliviousness. Consider this through the lens of the body positivity movement for men: In our previous reporting on the movement to raise awareness about men’s body image issues, many told us they’d been mocked viciously for being husky as children. But they also said that their biggest obstacle in trying to get people to understand fat acceptance for men is getting people to realize it’s okay for men to care about how they look in the first place. It’s hard to imagine that a survey asking men if they know they are overweight would be sensitive enough to ask these follow-ups: Are you sure you don’t know you’re obese? Are you sure you don’t realize it; you aren’t just rationalizing it because you think it looks weak for you to have noticed or cared about your own health? It’s strongly possible that men are so used to shrugging off weight issues that they aren’t even able to admit they have them. Men are also notoriously reluctant to seek out medical care, which is traced back to the same exact issue: a macho culture that encourages bottling feelings and suffering through pain. The Men’s Health Forum encourages a more gendered approach to dealing with the increased prevalence of diabetes, that at least in part includes setting up diabetes checks at places like football games. That might catch men who are already in trouble. But what are we supposed to do to encourage men to care about their health before it ever gets that bad?